Mr. McArdle has lived in Charlotte since 1979. He attended Saint Gabriel Catholic School and Charlotte Catholic High School. After graduating from high school in 1987, Mr. McArdle attended the University of North Carolina. At Chapel Hill, he played on the Junior Varsity Basketball Team and served on the UNC Supreme Court. He also received recognition for being an All-ACC Student Athlete. After graduating with a Bachelors Degree in Political Science, Mr. McArdle attended law school at Campbell University. In law school, Mr. McArdle traveled with the Moot Court team and earned entry to the Order of the Barristers. After law school, Mr. McArdle returned to Charlotte and has represented clients in Charlotte and the surrounding counties since 1995. He is a member of the Mecklenburg County Bar, North Carolina State Bar and the Mecklenburg County Family Law Section. Mr. McArdle is a partner at Arnold & Smith, PLLC and the primary focus of his law practice has been and remains family law. He is experienced in trying cases involving issues related to child custody, child support, alimony, equitable distribution, and domestic violence. His approach to cases is straightforward and honest. If a case requires extensive and aggressive litigation, he is comfortable in the courtroom and has zealously fought for successful outcomes for his clients for the past twenty years. If, however, the case requires a more collaborative approach, then he is equally adept at resolving matters outside of the courthouse. Mr. McArdle has gained a great deal of experience in litigating jury trials related to heart balm torts (i.e. alienation of affection cases). In 2015, he was featured in North Carolina Lawyers Weekly after a successful jury trial verdict. He has been quoted on ESPN, CNN, and The Charlotte Observer and has been a contributor to local television news on issues related to family law. 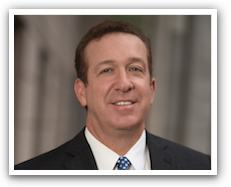 Mr. McArdle also represents clients with regard to issues related to district court criminal/traffic cases, land condemnation cases, personal injury matters and general civil litigation. He and his wife, Sally, are the parents of four children. When he is outside of the office, Mr. McArdle coaches a middle school AAU basketball team and nervously watches his children participate in innumerable youth sporting events.